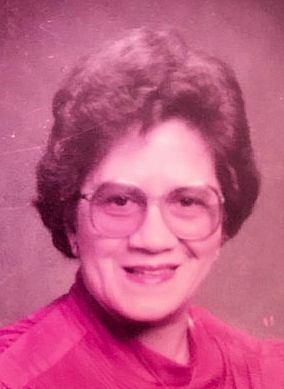 LEDBETTER, Efferee M., of Randolph, formerly of Boston, passed away peacefully, at home, surrounded by her loving family on April 12, 2019, at the age of 91. Born and raised in Mills River, NC, Efferee moved to Boston where she worked for many years as a Teacher’s Assistant in both the Boston Public Schools and Melrose Public Schools. She had a passion for life and was most happy when spending time with family and friends. A devoted mother, daughter, sister and gramma, Efferee will be greatly missed by all who were blessed to have known her. Efferee was the loving mother of Otis B. Cash, III of Boston, Wayne Anthony of Boston, Jewel E. Cash of Boston, Heinz D. Cash of Boston, Gloria C. Cash of Randolph and the late Fritz R. Cash. Sister of the late Della, Alonzo, Freeman, Thurman, Lola, Wilbur, Clarence and Voda Viola Ledbetter. Dear Gramma to John E. Bradshaw, III, Jewel Stokes and Jonalyn A. Bradshaw and Great Gramma to Penelope Bradshaw. Also survived by many nieces, nephews, cousins and friends. Relatives and friends are respectfully invited to attend a visitation period on Wednesday, April 17th from 10:00 – 11:30 AM in the Cartwright Funeral Home, 419 No. Main St. (RT 28), Randolph. A Funeral Service will follow at 11:30 AM in the Funeral Home. Burial in Blue Hill Cemetery, Braintree. Should friend’s desire, memorial contributions may be made in her name to the Alzheimer’s Association, 309 Waverley Oaks Rd, Waltham, MA 02452. The family would like to give a special Thank You to the Elder Service Plan of Mattapan for their outstanding quality of care, high standards and support during the care of Efferee.